All Pokemon with wings are knocked out. 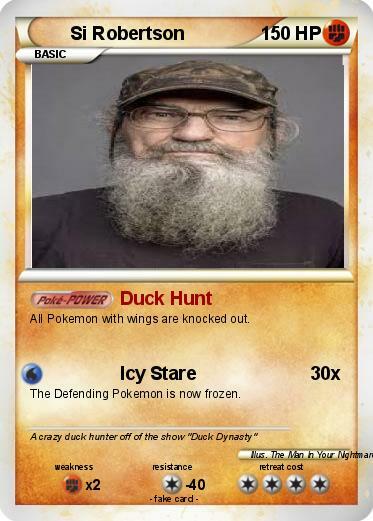 The Defending Pokemon is now frozen. Comments : A crazy duck hunter off of the show "Duck Dynasty"